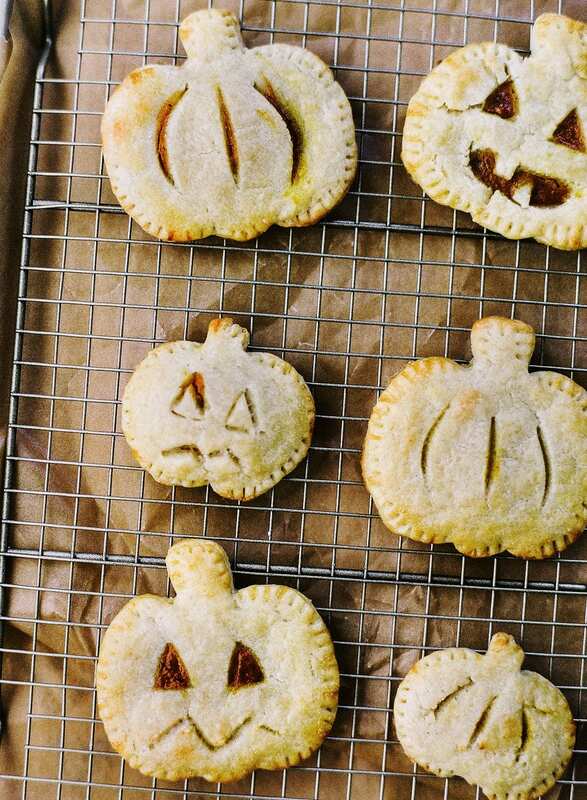 Adorable Pumpkin Hand Pies are the perfect treat to celebrate the fall season and Halloween. Made with the easiest homemade pastry crust ever (seriously!). Taste: Mild pumpkin spice flavor that makes you wish fall lasted all year long. Texture: The pastry is flaky and tender, while the filling is rich and smooth. Ease: This pastry is ridiculously easy, even kids could get involved making these! Pros: Simple and festive homemade treat! Would I make this again? Definitely this time next year! Pumpkin season is officially upon us and I could not be more excited. No matter how basic that makes me. I’ve got my favorite Pumpkin Soufflé candle from Anthropologie burning right now and at least three pumpkin recipes in the pipeline that I’ll be sharing this season. To me, there’s nothing more comforting than both the aroma and flavor of pumpkin and warm spices. I almost feel bad for those people who don’t like pumpkin. They really are missing out. 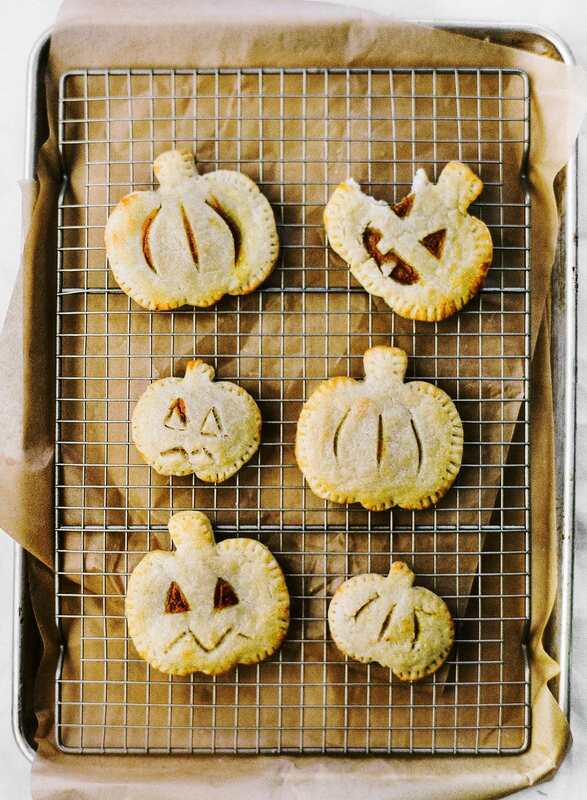 It would only be appropriate that the first pumpkin recipe I share this fall is for these adorable pumpkin hand pies. Especially as we head into October and Halloween! I used a larger and a smaller pumpkin shaped cookie cutter set to cut out pumpkin shapes from the pastry dough. Then I placed a small dollop of filling on each of the bottom pieces of dough. Be careful not to overfill these! I used my paring knife to slice cute jack-o-lantern designs or lines to accentuate the gourd shape on that top piece of dough. Feel free to get creative here with your shapes and decorations! The dough is pretty much a dream to work with so it makes the process actually enjoyable. It’s the perfect Halloween baking project! If you make this recipe, be sure to snap a picture and tag me and #handletheheat on Instagram. Great idea Tessa. I was looking for new ideas for Halloween baking.